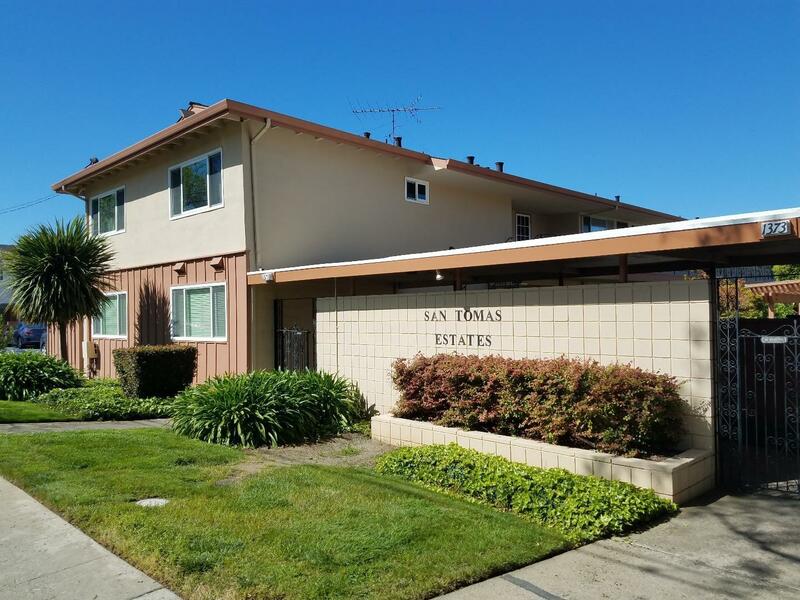 WELCOME TO THE SAN TOMAS ESTATES CONDOS! Looking for a great opportunity to remodel and customize it to your style and look? Excellent and affordable upstairs condo is what you are looking for! 2BR, 1BA, spacious, natural lighting, carport, all appliances stay, patio deck with storage room, and more. Low HOA dues include a pool, carport, exterior maintenance. Just bring your contractor and hammer and make this unit sparkle today! Close to Santana Row, Downtown Campbell, high tech, commuting, schools, eats, etc. Open house scheduled for SAT 5/5 and SUN 5/6, 1-4pm. Run, don't walk and make this your home or investment today!